Artemis Fowl was a book I read to my kids. After finishing age-appropriate Suzanne Collins, we needed something new to embark upon. A local librarian recommended this, so off we went. I'm not sure for what age group is this book intended. 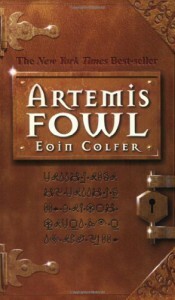 Unlike Collins' Underland Chronicles, I found myself spending a lot of time explaining events in Artemis Fowl. The storyline was rather simple, but the crime culture references were over my kids' heads. Perhaps this was due to where we live - no mobsters, low crime, low-tech area. The character of Artemis appeared well-crafted at first, but the novelty soon wore off, and he became (in my mind) rather plain, bored, and spoiled. The numerous references to his genius came short at the end. I realize this book is intended for younger audience, but still - there was a lot that was not backed up. 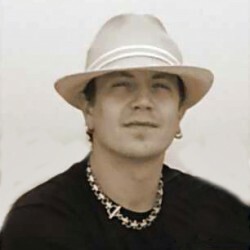 The character of Butler, on the other hand, was clearly defined and well developed. Butler did what I expected him to do, at least most of the time. Unfortunately, the references to tech world, weapon world, and crime world were something my audience could not relate too. Some of it was just overblown - like 9mm "Devastator" slugs - really? Around here, a .44Mag is the choice for devastation. However, I realize the author is from Ireland and the chances of meeting a wild bear on your hike are pretty slim over there. Yes, this comment is made with tongue in cheek. Commander Root was another well-defined character, as was Mulch Diggums, Captain Holly, and Foaly. The rest of the fairy world was missing a lot to appear well developed, and, for my personal taste, too much of the book focused on the tech advancement of the fairies, without actually explaining many of the items mentioned. I realize I will probably catch a lot of heat for saying this. Overall, this was a decent book, one that held my kids' interest for a while. There were moments though where they wanted to move onto something else. I will probably reach for another Artemis Fowl book in the future, but it will be some time from now.